Malaysia Airlines will revamp its economy class meals to give more value for its customers. Yes, you heard it right. Economy class passengers will enjoy better meals in the future. Malaysia Airlines Chief Commercial Officer, Paul Simmons has said the new menu have improvement in ingredients by having more than double the protein size and bigger portions. Besides, overall presentation of the meal will also be improved. Passengers for short-haul flights will be able to enjoy better in-flight dining experience as hot meals will be introduced for them. All these improvements have added 20% of the overall meal cost. “This (hot meal) includes dishes such as Japanese inspired appetiser shrimp salad with spring onion, sesame seed chicken teriyaki served with Japanese rice and also Korean influenced kimchi chicken with Asian greens and deep fried queen fish and Kung Pao sauce for North Asian destinations”, said Malaysia Airlines in a statement. “More Malaysian dishes will also be served on flights between Kuala Lumpur to Australia including curry and rendang as part of the airline’s move to provide a truly Malaysian experience to reflect the cultural richness of the national airline,” it added. Malaysia Airlines has decided to utilize the new Airbus A350 for its Asia and London routes, starting as early as October 2017. The aircraft, also known as Airbus A350 XWB is a family of long-range, twin-engine wide-body jet airliners developed by Airbus. The company has signed a long-term lease agreement for four new Airbus A350-900s with Air Lease Corporation (ALC). Additionally, two A350-900s and two A330-900neo (New Engine Option). It is not known whether the lease type is wet lease or dry lease. 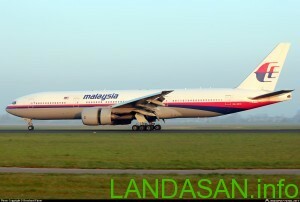 Malaysia Airlines CEO, Christoph Mueller has expressed interest in acquiring more aircraft of that type to fulfill Malaysia Airlines’ future needs. The aircraft will be delivered between fourth quarter of 2017 and second quarter of 2018.